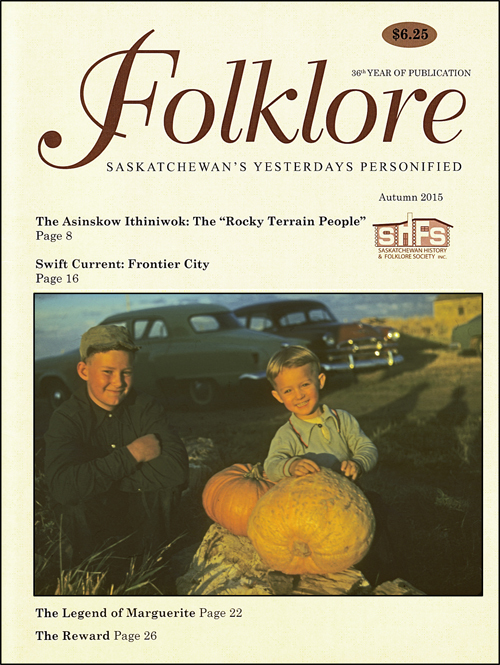 Folklore Magazine is a unique venue to share stories of Saskatchewan. A typical issue includes a mix of articles that share the history of Saskatchewan, and personal stories and poems that share what it is like to be from Saskatchewan. “People stories” are one of the magazine’s strengths – stories of events, daily life, family, humour, and personal experiences. As such, the magazine is a unique and rich resource for future (and current!) generations to enjoy. Published quarterly since 1979, Folklore is currently only available in print to members. We are actively working to offer the magazine both in print and online in the future. To become a member and get Folklore in your mailbox four times a year, click here. Folklore also makes a great gift! Do you have a story you would like to share? Check out our Writer's Guide. Funding for our Folklore Editor is provided through a Graduate Research Fellowship created in partnership with the University of Saskatchewan Department of History and the College of Arts and Science.